Start your own viral news site with Novapress. 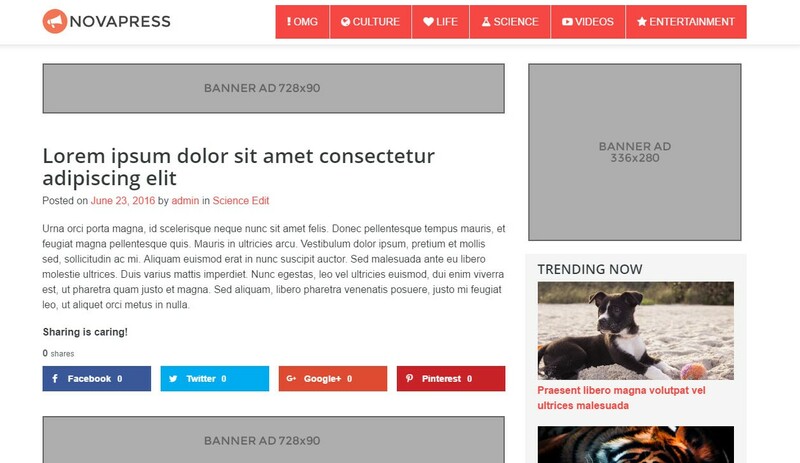 Responsive grid layout, infinite scroll, social sharing icons, buttons and more. 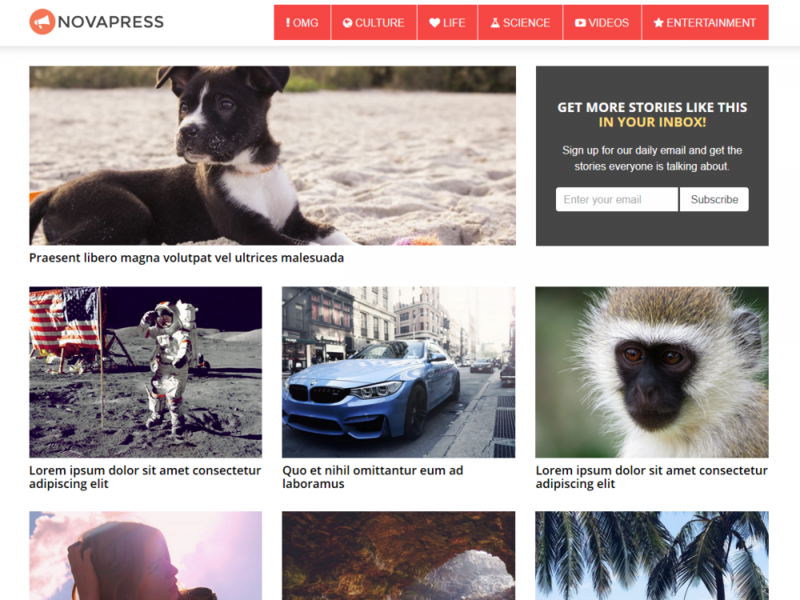 Novapress is a Wordpress theme clone inspired by Viral Nova. The WordPress Customizer offers quick and easy customization of the theme colors. Besides customizing theme colors you can enable/disable Facebook comments, upload your logo and edit the copyright text. Using the Mailchimp for WP plugin, users can signup for newsletters and daily updates from your blog. NovaPress comes with 2 signup form sections; below the header and above the footer. Whether you want to add Google Adsense, Buy Sell Ads, banners ads or any other method; NovaPress makes it easy to monetize your blog with pre-defined ad spots. 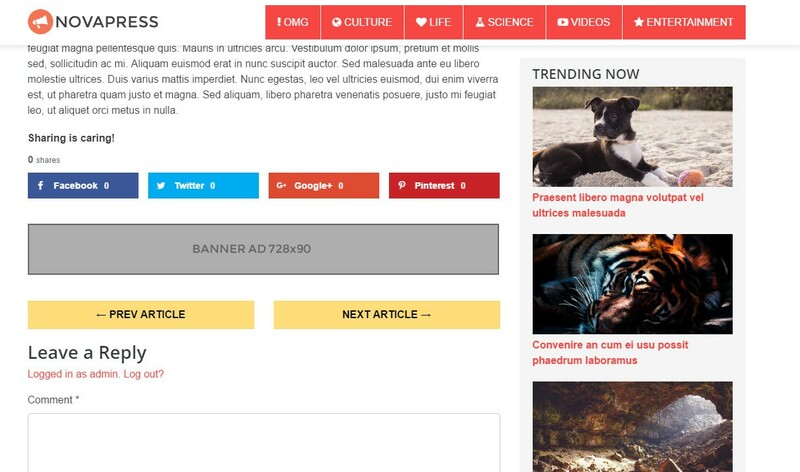 Using the WordPress Popular Posts plugin, display trending articles in your sidebar based on specific criteria. The theme welcome page explains how to quickly and easily set up the NovaPress theme. With direct links to our support site, we are there to assist you in case you have any questions.